What would be you choice of event theme around a tv shows crew? I'd go with TOS, just because it doesn't seem like it's been represented well in megas. But honestly, I'm fine with any of them. What I really don't like is when they do a split theme, like Andorian/Disco. It just feels like they try to cram too much into those megas and nobody is ever really thrilled with the event crew. I much prefer them to pick a theme and cram as many of those chars into it as they can. 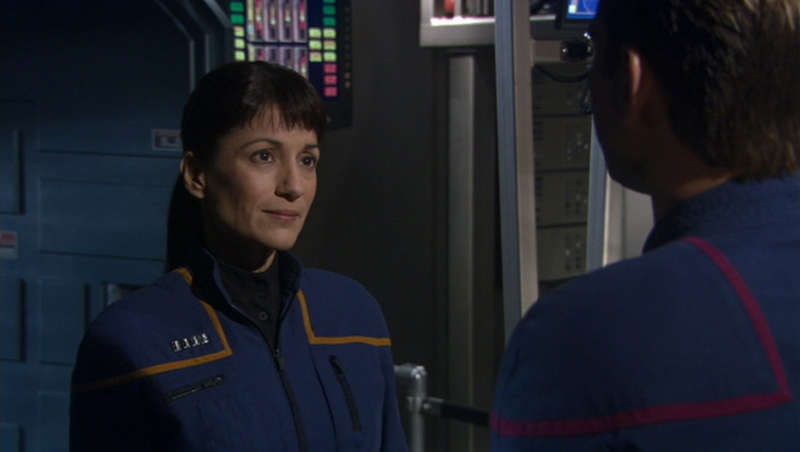 I enjoyed the Andorian/Disco mega because I got a bunch of Andorians (my favorite Trek species)...the only way that it could have been better if Discovery weren’t shoehorned into it so we could have gotten Jhamel, Gareb, and one of my all-time Trek crushes, Talas (well, her and her stunt double). Yeah event with only one theme is better. 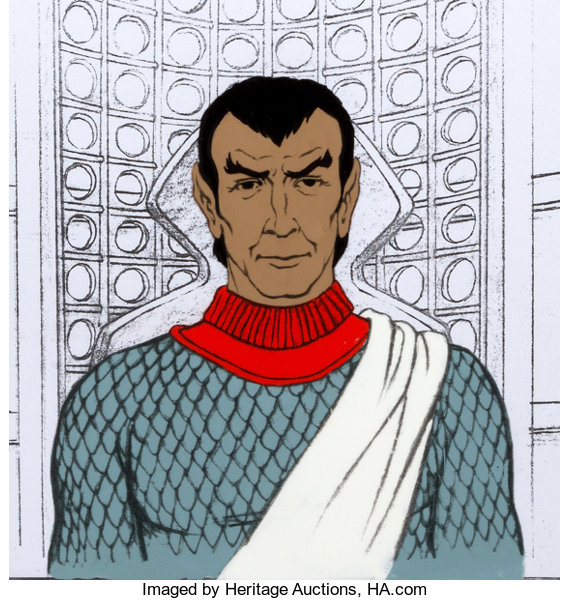 I was so excited about Romulans then we only got two real Romulans Vreenak and Keras. After that DS9 and Augment theme was a complete mess. DS9 has so many characters that you could make a game just around that show. Augments on their own are cool. But I am still pissed off how we got Species 8472 and Seven of Nine in that event. After that DB had dropped dual themes and it was a massive improvement, although two skill Minuet is still useless. TOS does still have a lot of stories to tell. I'm sure we could get a few characters like Organians or from Journey to Babel, or Balock. My choice would be Enterprise. They just seem underutilized compared to other show characters. There was another discussion (within a discussion), lol, where the idea of temporal/time travel mega had been made. 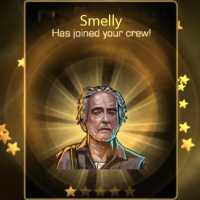 Having added crew such as guinan, mrs charmichael, and Samuel Clemens from “times arrow”. 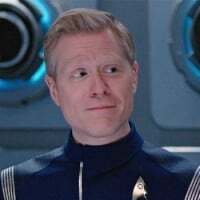 there are still some “1701” crew that could be added as well as relativity crew. And we have some interesting crew from Ds9 episode where defiant was thrown back 200 years then created a new society. 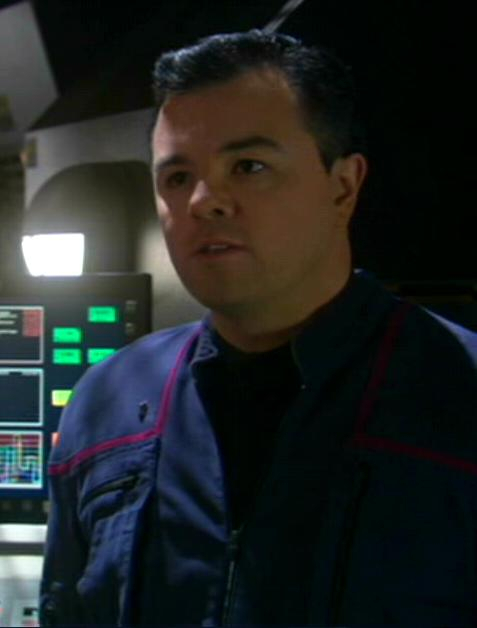 Yedrin dax, Many choice of crew that would include all series and some movies. Lots of choices for this mixed series/movie mega of temporal travels. To include all of them would be a 2 mo mega. Or simplify and just do a series of related events with temporal versions. 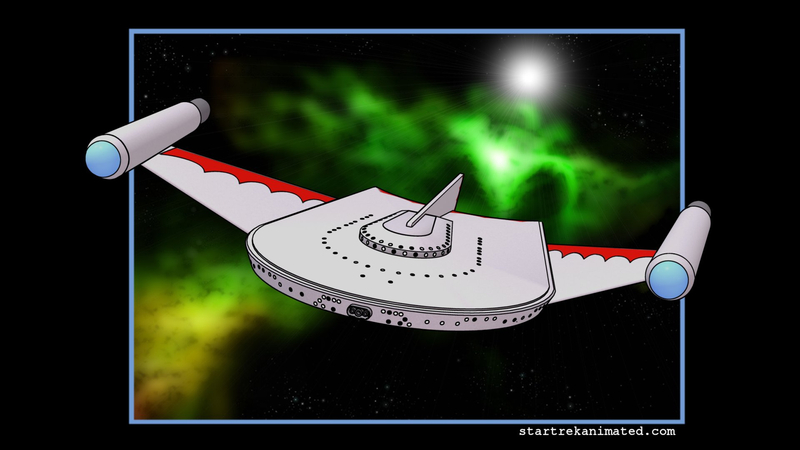 I would like to see The Animated Series/Romulans mega event month. We have so few crew from TAS and we need more Romulans since the Vulcan/Romulan mega was mostly Vulcans. 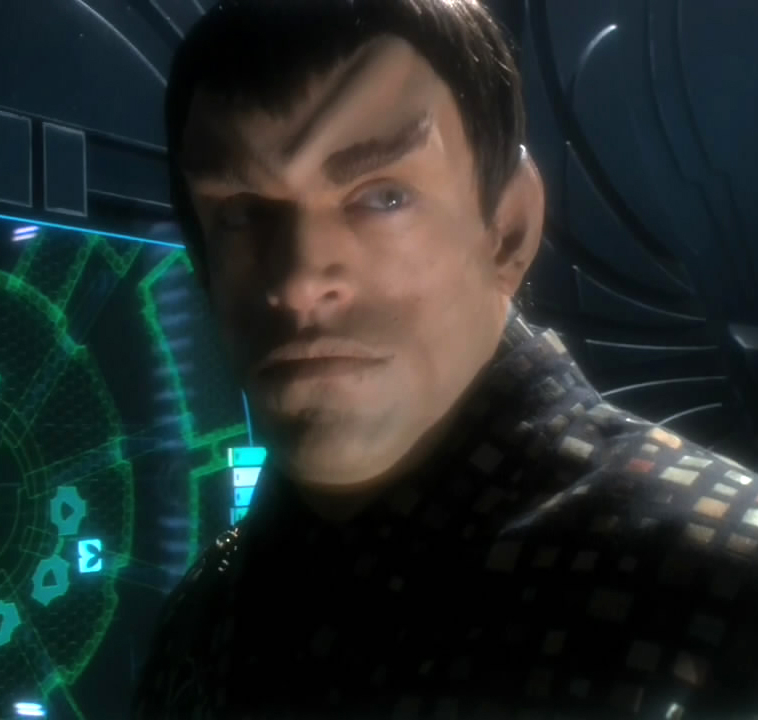 The event month recurring could be a Romulan from TAS. The fun thing about this is that it would get people to watch TAS who have not already like when DB did the TNG mirror universe crew which got me and others to go read the comics. VOY. 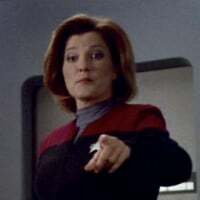 I'd like to see a Year of Hell event or something, because we haven't got a Janeway in a year. I'd be very down for this. The animated series for me. DB could make it so that the animated crew are really 2D or animated, and have somehow leaked into the universe with the temporal crises . 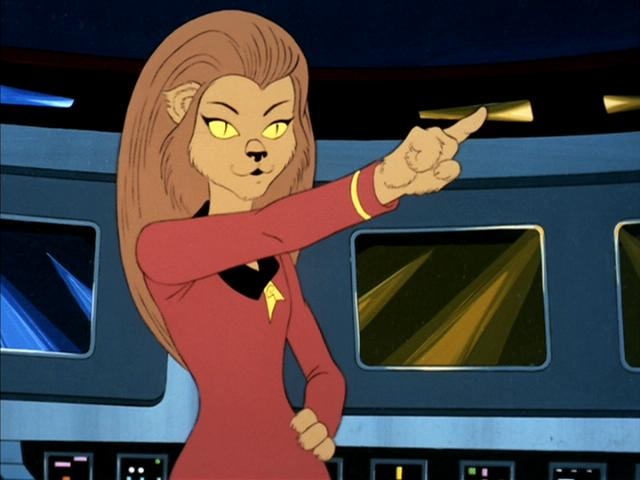 The lovely M'Ress as the reoccuring legendary. Skills Engineering, Diplomacy and Med (or Sci). 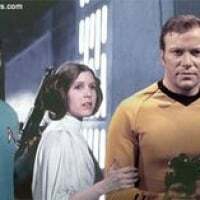 Crew could include Captain Uhura, and the Bunny Rabbit from Shore Leave, The series also had a time anomaly episode that could be written into an event. Each to their own I suppose...animated series characters hold no interest for me. Imagine Andorian disco!! All those waving antennae!!! I'm not sold on a single series event/mega. Part of the game's charm is the cross pollination of the characters across various series/era. Just don’t mix TOS and Discovery—the continuity issues would rip a hole in spacetime. A Threshold 2* could be Archer's girlfriend Rebecca. Also, +87 on Ensign Griffin!!!!!!!! What about a red shirt mega event month for all the dead red shirts? All of their scarifices so that the main characters knew not to touch that plant, touch that rock, or to be slow with the phaser. 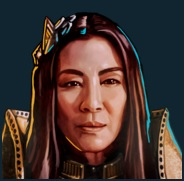 Has there been a Bajoran featured MEGA? I think all of the other factions have been represented. I see 46 Bajoran in game already that would count. But of course, even the Recurring would be a 1*!!!!!! No one was ever around long enough to get promoted!!!!!!! or the background characters. Each series had some of the same actors. A few actors played different roles. 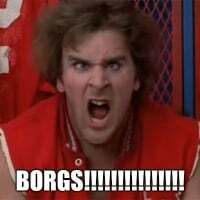 even the actor who played Rogar Danar was the original Voyager doctor who disliked Paris. Different music in cultures on earth alone affects body parts differently. Example would be how head moves and feet are still in synchronous rhythm in some Indian music genres while in others the body moves but head is still while focus is on eyes and eye brows. In alien settings if Andorians will be affected by disco music then antennae may compensate for movement and be still. Our ears do not wiggle automatically in disco do they? Though Andorian Wayang with gamelan would kick it... extra appendages! !